Vaido (Võrumaa, Estonia) on 25 January 2019 in Landscape & Rural. Makes a fine cold study. Superbe shot in this difficult weather. Very nice winter scene. I like this fallen snowflakes. The wind! I prefer snow that floats straight down. ;-) A dynamic and beautiful image. Beautiful photo! Nice that there a little trees between the long trees. You used a good shutter speed to show how it was snowing. This is painterly and masterly. 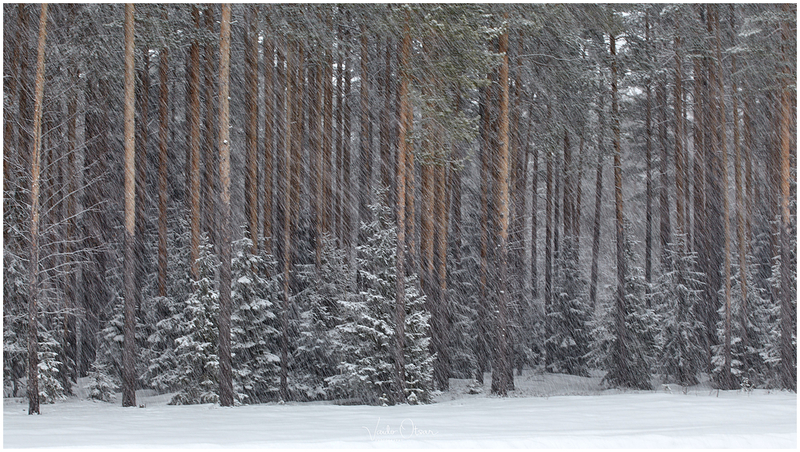 Wonderful texture created by the falling snow and you photographed it very well. A great play of diagonals and verticals!! A spectacular winter scene. This is beautiful! I love the color and the falling snow.